Our party of 20 Adults & 10 children recently enjoyed a 4 course meal here for a conformation. From start to finish it was an excellent experience. The food was top class and the service from our waiter has to be the best we have experienced yet. Everyone commented on the food being spectacular. Our waiter paid great attention to all of us including the children, leaving the adults to sit and enjoy our meal. Nothing was too much for him. We could not recommend any higher. 6 stars from us and we will definitely be returning soon. Overall experience was excellent. However when I went to settle bill for party of 10 I was told that they only take debit card & not credit card. It just happened i had a debit card with me also so it wasn't a problem but on another day it might have been as I would never have expected a hotel not to accept a credit card payment.We had invited guests for an occasion so it could have been very embarrassing. I rang back to check it out the next day but the manager was too busy at the time to speak to me so I was asked to call back later but I didn't. We were a party of 20 people. We had a room to ourselves with a table that seated us all..which was fantastic. The service was excellent! Everybody thoroughly enjoyed the food and the night. We will be back. Thank you. Lovely relaxed afternoon with my mam from start to finish. Service was particularly good - especially the gentleman who I believe was the maitre 'd. Food was also very nice - just one small thing that I felt would have made all the difference - while there was a selection of vegetables served to the table, I thought that one specific vegetable paired with each main course would have been much better, e.g. some fried onions or mushrooms with the steak, some asparagus with the duck. I just felt that a plate with just a steak sitting on top of some potato and sauce was a bit bare! Very enjoyable relaxed evening with delicious food and excellent service. A very enjoyable evening, especially as Chef provided lamb shank which was on the on-line menu but not on the menu in the restaurant  that night. It was delicious. The food was decent. The service was good. I was disappointed though because it was my daughter's birthday and I asked if we could order a cake in. I was rebuked quite soundly that they "do not do cakes." Other than that, it was nice. The restaurant itself is quite lovely. The reason I only gave the atmosphere a 3 is because some members our party found the dining room draughty. However we all agreed we would return again. Although the earlybird menu was limited the food was superb and the service excellent. 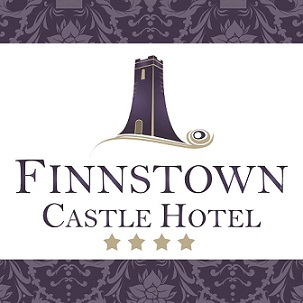 We had a wonderful day at Finnstown Castle for our daughters Communion day. The Food was lovely, served hot and the service was excellent, it definitely exceeded our expectations and we would not hesitate to recommend to others. I made a reservation for my child's communion. I asked for the main peacock restaurant & not the function room. This was confirmed in writing. However on the day we were seated in the function room. The party was for 18 & we were given a large square table. The place settings were extremely close together without adequate room for comfortable dining. The table was so large that it was not possible to talk to the people across the table. A few of the party commented that the table setting was not ideal. I ordered beef for my main course as did many other guests. I was embarrassed as it was awful. Supposed to be sirloin but I doubt it. For desert there was no choose just a miniature selection. Overall I felt the dinner was overpriced for the quality of food we received. I have had family functions previously in the peacock restaurant & could not fault it. However I would not recommend it after my recent experience. However the service was excellent. I have since heard that the food is from outside caterers, which may indicate the poor quality. Overall I was very disappointed. Thank you for a fabulous night, we really enjoyed ourselves. The food and service was excellent. Great experience and would highly recommend..
Lovely food in a comfortable, quiet setting. Wonderful experience celebrating my daughters christening here. We booked the conservatory for 20 people. The waiter was excellent and very kind to the kids in our party. Staff also handled food allergies in the group really well. Thank you so much for such a wonderful experience. We couldn't fault it and everyone was raving about the food. We were absolutely thrilled to find that we had a private section of the restaurant. The food and wine was beautiful. The waiter that served us was exceptional. Went out of his way to make us feel welcome and looked after. Many thanks for helping to make my 40th birthday an event to remember.